George Lucas has contributed to 'Solo: A Star Wars Story' after Ron Howard agreed to use a joke he suggested. 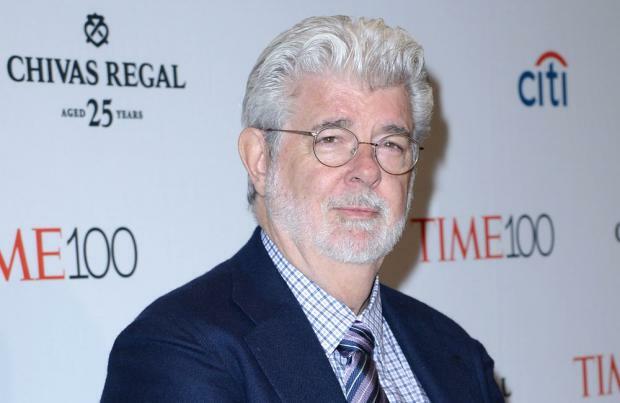 The 73-year-old filmmaker created the blockbuster sci-fi franchise, but handed over the reins from Lucasfilm to Disney in 2015, with fans assuming that would be his last dealings with the movies. However, Lucas has remained supportive of the forthcoming Han Solo spin-off, and one day he came over and interrupted Howard - who took over the director's chair from Phil Lord and Chris Miller, who left the project due to creative differences - to suggest a quip on set, and he immediately agreed to add it in. "I said, 'What?' And he told me the joke, he gave me a little joke. "And I said [to the crew], 'Hey, guess what? Here's what we're gonna do in the next take.' So I know when I hear a good idea." Howard is thankful that he's stay on good terms with Lucas, despite him selling Lucasfilm to the Walt Disney Company. He said: "We've remained friends, so for me it was an incredible show of support and respect and it meant the world to me that he would go out of his way to show up." Lucas' quip suggestion comes after Donald Glover promised 'Solo: A Star Wars Story' is "a lot more fun" than other 'Star Wars' movies. The 34-year-old actor - who portrays the young Lando Calrissian in the upcoming Han Solo spin-off - said: "I think it's just a lot more fun. All the 'Star Wars' [movies] are really fun, but I think this movie, we know what's going to happen, we know they're not going to die, ya know?" 'Solo: A Star Wars Story' follows the story of Han Solo, the captain of the Millennium Falcon and one of the great leaders of the Rebel Alliance. Han and Chewbacca will be seen first meeting Lando Calrissian (Glover) and they will also encounter Woody Harrelson's alter-ego Beckett, who is believed to be a mentor to young Han who guides him on his journey to becoming a space smuggler.